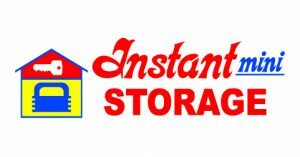 Instant Mini Storage Bakersfield, CA Offers The Best Storage Prices! We love our town! Instant Mini Storage has the best storage rooms in Bakersfield, CA since 1978. We LOVE the sunny climate and hometown feel of our thriving community. Bakersfield is a family-friendly, full-service city known for its music legacy, restaurants, cultural arts, sports teams, recreational activities and natural resources. We offer the lowest storage prices in the area in a variety of shapes and sizes. We realize that storing items often causes financial stress, so we offer flexible payment options including online bill pay, auto-pay, and month-to-month leases on a variety of storage options. Customers also love how there are absolutely NO DEPOSITS required when utilizing our storage. We offer tenant insurance to our customers. Of course, the items you place in storage are important to you, so it makes sense to protect them. Aside from renting storage at a safe property, there’s another great way to protect your valuable assets, and that’s with insurance. Instant Mini Storage provides a pleasant and best storage room experience with excellent service and amenities at an unbeatable storage price. Our manager is available after hours by phone with any concerns you may have about your belongings.